People who exercise have different proteins moving through their bloodstreams than those who are generally sedentary. But scientists have surprisingly little full knowledge of just how exercise accomplishes all of this. They can see or measure most of the desirable outcomes of being active. But many of the underlying, intricate physiological steps involved remain mysterious. In the past several years, though, there has been growing scientific interest in delving into the various “’omics” of exercise. In broad terms, “’omics” refers to the identification and study of molecules related to different biological processes and how they work together. Genomics, for example, looks at molecules related to the operations of genes; metabolomics at those involved in our metabolisms, and so on. But one of the more compelling ’omics fields is proteomics, because it focuses on proteins, which are expressed by genes and subsequently jump-start countless other physiological processes throughout our bodies. Proteins are at the heart of our busy interior biology. 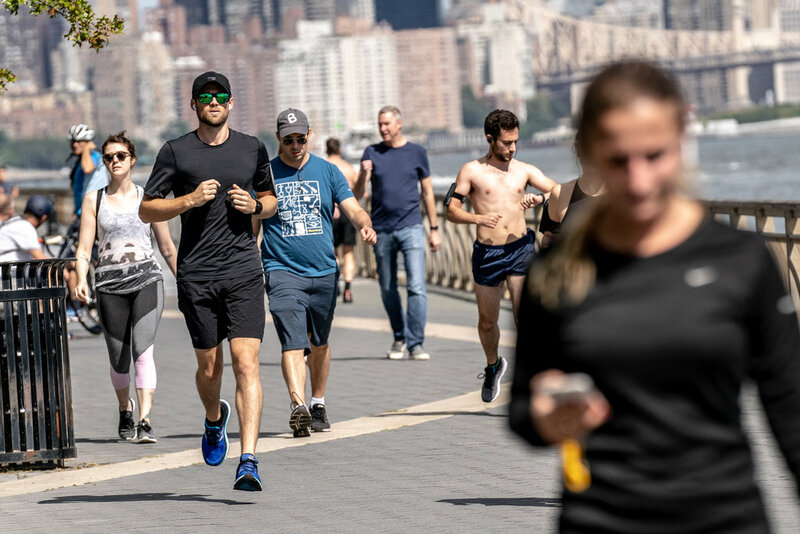 But almost nothing has been known about the proteomics of people who exercise and whether and how they might differ from those of people who rarely move and what it might mean if they do. So, for the new study, which was published in November in the Journal of Applied Physiology, researchers at the University of Colorado, Boulder, set out to look at various people’s proteins. In this study, the analysis looked for the presence or absence of about 1,100 known proteins and also for complicated, teensy physiological indicators showing that certain proteins had or had not been expressed, or activated, at about the same time as one another or otherwise were interrelated. These data suggest that changes in protein levels are likely to be integral to the complex process by which a workout becomes wellness. But many of the intervening steps remain elusive, says Douglas Seals, a professor of integrative physiology at the University of Colorado, Boulder, who oversaw the study. Those are all issues that exercise scientists will grapple with in the coming years, Dr. Seals says. Esta entrada se ha publicado en Artículo, Cosas Nuevas, Efectos Secundarios, Ejercicio, Estudio, Prevención, Sabías que, Salud, Vale la pena ver y se ha etiquetado como desaceleración, Ejercicio, inflamación, moleculas, niveles de azúcar, proteínas, respuesta inmune, sangre, sedentarias, sistema inmunológico. Marca el vínculo permanente.